Waymo is currently leading the charge when it comes to autonomous vehicle technology. In addition to plans of adding around 20,000 Jaguar I-PACE electric SUVs to its fleet of autonomous cars and putting self-driving trucks on the road, Google’s division has also clocked an impressive 5 million self-driven miles on US roads and continues to grow. Now, a new report suggests that the company seeks to test fully driver-less autonomous cars in California and has already submitted an application seeking approval from the state authorities. According to an exclusive report from the San Francisco Chronicle, Waymo has submitted an application to get permission for testing autonomous vehicles without a backup driver behind the wheels, before the California Department of Motor Vehicles DMV). 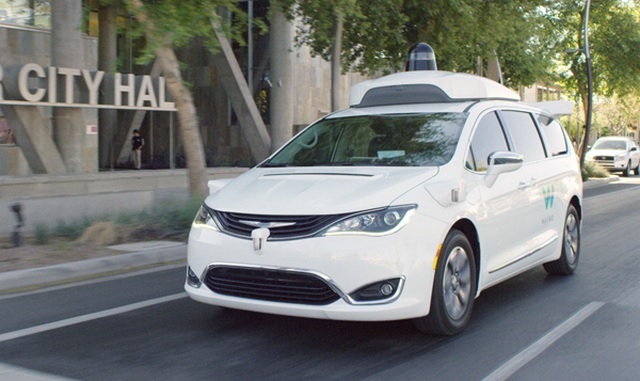 Waymo has previously been granted a permit to launch a commercial autonomous ride-hailing service and is already testing fully autonomous cars without a backup driver in Arizona. Waymo has confirmed to the San Francisco Chronicle that the company has indeed applied for a license to test such vehicles in California, and the state’s DMV too has verified the same, further revealing that Waymo is the second company to apply for testing such vehicles in the state. According to a source familiar with the new developments at Waymo, the company will test the driver-less autonomous vehicles near its Mountain View headquarters and will eventually expand the tests to the Bay Area if the application is greenlit by the state department. Waymo will reportedly amass an extensive database of terrain information by first letting autonomous cars with backup drivers map the entire test route, before letting the driver-less cars hit the road. It is worth noting that out of the 5 million self-driving miles clocked by Waymo’s autonomous vehicles, 2 million were registered in California, and that too without any record of safety mishaps. Waymo has already notified DMV that its autonomous vehicles can cruise on the city streets and highways at a speed of up to 65mph at day or night, and will be monitored remotely during the tests to avert any crisis arising out of an unprecedented or complicated situation which the car’s systems fail to process.